A town evolves through inspired preservation. Kleinburg is at the confluence of a historic natural ravine system that became the center for trade and hydrolic power and later agriculture. The evolved village is part of the City of Vaughan, in southern Ontario and maintains much of its small town heritage and appearance. 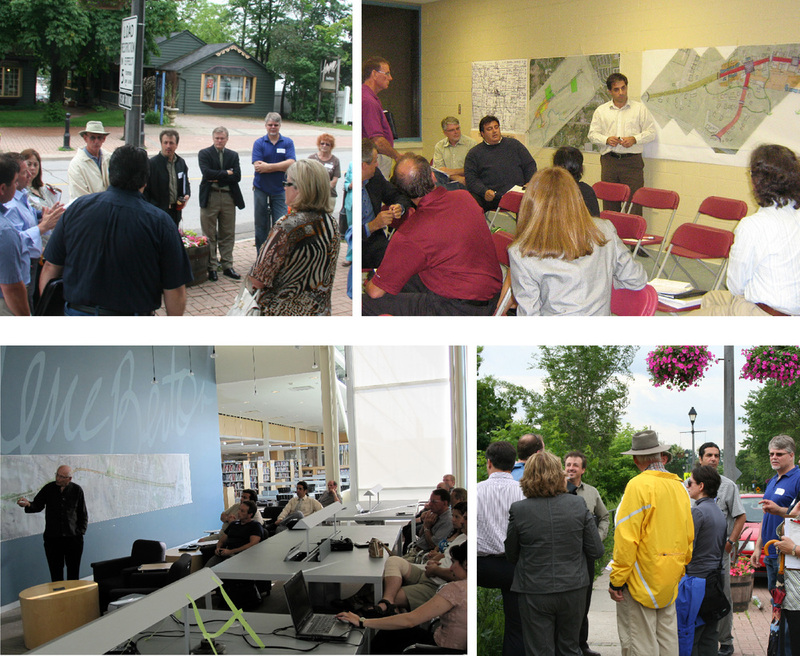 The City retained Landinc to prepare a downtown renewal and streetscape development strategy. The site included Islington Avenue, Nashville Street and the core business area. 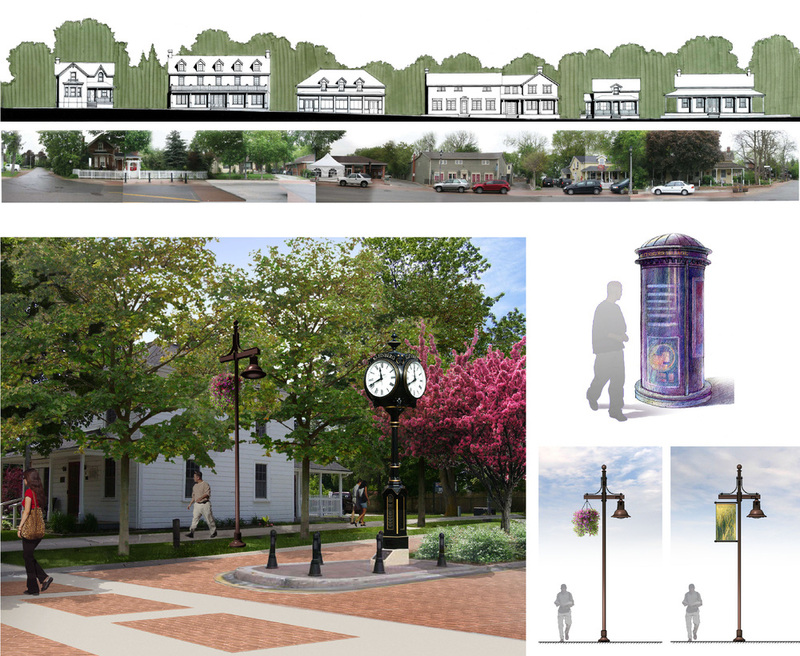 The goal was to create a more unified and active public streetscape, with a focus on sustainability, safety, landscape heritage, and to create a stronger overall community image. To initiate the study a series of site analyses were undertaken as well as heritage analyses of the core buildings and their uses. These were used as a basis for extensive public consultations and user group meetings. A S.W.O.T. 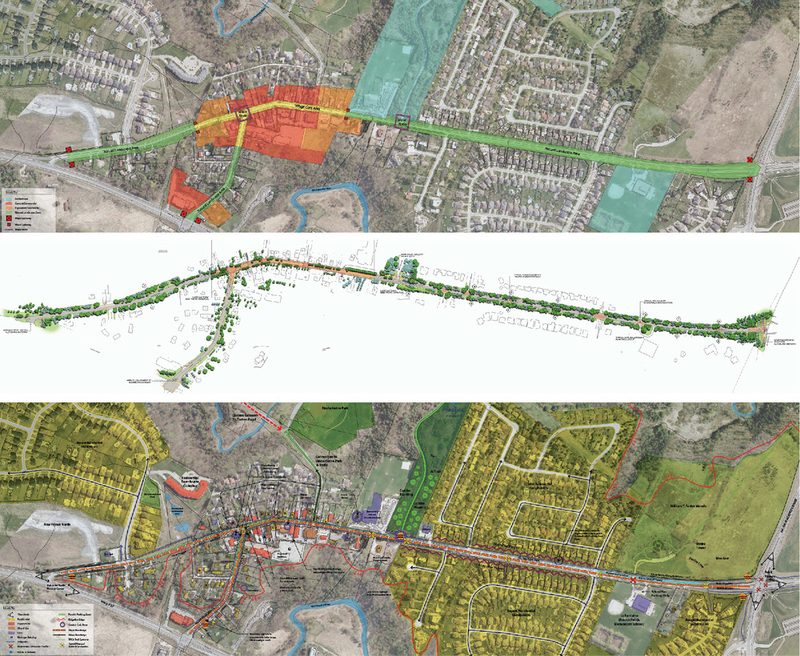 analysis followed, leading to opportunities and constraints for design visions of the main street. 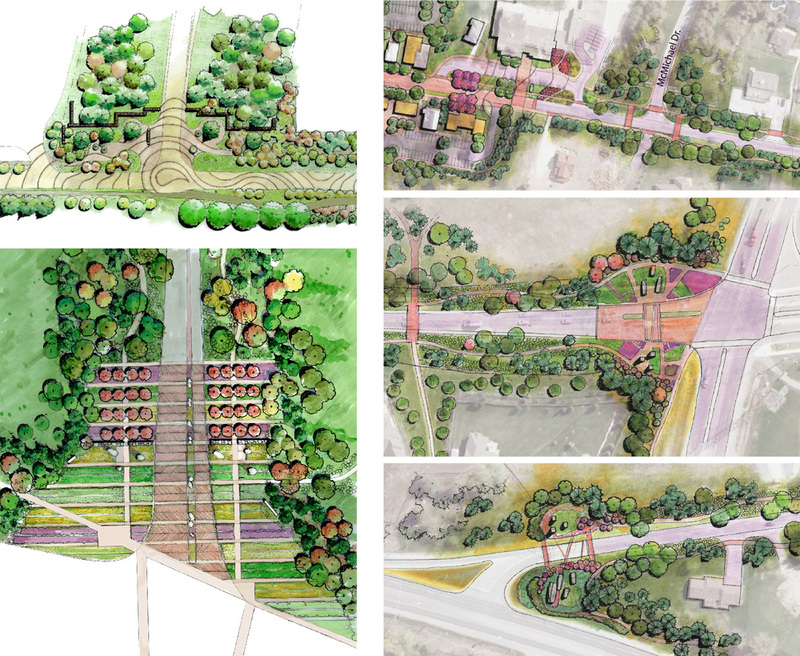 The final plan depicts a vibrant streetscape that supports and encourages a high quality of life for its residents, by transforming Islington Avenue corridor into a rural pedestrian-oriented linear park. The plan celebrates past cultural uses and expresses these through symbolic landscape gestures at the gateways into the Village. The work incorporates new bike ways and walkways, with strategies to capture of run-off drainage and the imply native plant materials. All lighting is designed using dark sky principles. In the downtown core it is recommended that the roadway and sidewalks be repaved using permeable paving blocks. 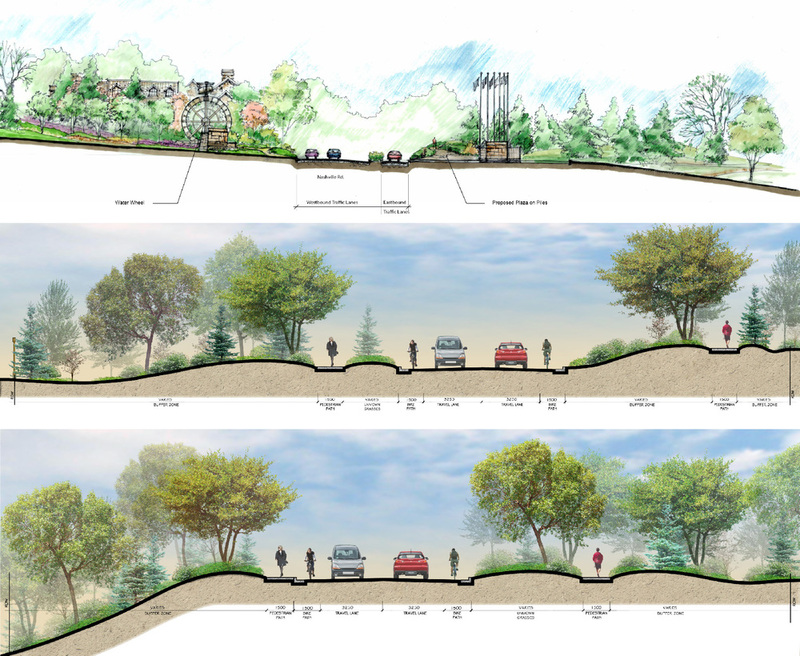 New trail connections to the surrounding valley system completed the plan in the context of a greater regional ecological and trail corridor.